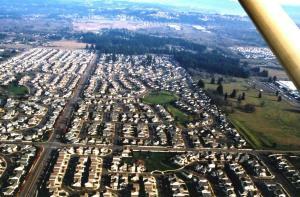 Clearmeadows Neighborhood is located in southeast Vancouver, WA. It has entrances at SE 180th Avenue and SE 20th Street, SE 184th Avenue and 20th Street, SE 176th Avenue and SE 22nd Street, and SE 176th Avenue and SE 23rd Street. There are plenty of schools, grocery stores, restaurants, you name it and you will very likely find it close to home. Clearmeadows Community Association works closely with all homeowners to continually improve the livability of the neighborhood. A very popular part of the Clearmeadows community is the huge park owned and maintained by the City of Vancouver which includes a playground and basketball hoop. The community plans many activities there even "Movies in the Park". **This website is by and for the homeowners of the Clearmeadows Community Association. If you would like to contact The Management Group (TMG) click this link. A copy will be sent to the Board members. c/o The Management Group, Inc.